Ensuring your kids get enough rest is very important to their growth and development — but new research shows that if your healthy sleep habits falter, so will your ability to parent. Most parents know that prioritizing sleep is easier said than done when you’ve got kids relying on you for, well, everything. By the time moms and dads are done making sure their children are clean, fed, and ready for bed, it can be pretty tempting to just collapse in the recliner with a glass of wine in one hand and the remote in the other until you drift to sleep. While this methodology is understandable, research shows that poor sleep hygiene can actually make you a worse caretaker. 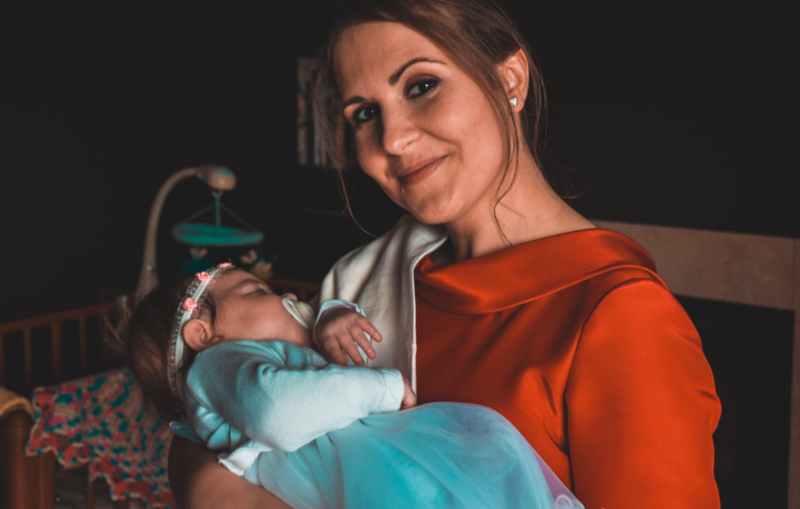 We found that when mothers were not receiving enough sleep, or receiving poor quality sleep, it had an effect on their levels of permissiveness with their adolescents. It may be that they’re more irritable, experiencing impaired attention, or so over-tired that they are less consistent in their parenting. But on the plus side, we also find that mothers who are receiving adequate sleep are less likely to be permissive with their adolescents. Making sure your children are keeping a healthy sleep schedule is very important, but without prioritizing your own sleep, you could be depriving your kids of reliable parenting as well as depriving yourself of proper rest. Not to mention, parents who feel well rested will have more energy to regulate a good bedtime routine for their youngsters. In this way, the sleep hygiene of moms and dads is inextricably linked to the sleep habits of their children. Sometimes getting enough sleep can feel like a chore in and of itself, but research suggests that kids will often adopt the habits demonstrated by their parents. So, maintaining a balanced lifestyle of your own will likely teach your children how to prioritize healthy living — so don’t forget to set a good example, moms and dads! If you’re worried that your sleep habits might be having a negative affect on the well-being of your little ones, it’s never too late to make some positive changes. Try reducing the use of technology before bed, or perhaps some sleep remedies that might help you get a better night’s rest. I don’t get enough sleep since I became a mom. So, it’s really hard for me to take care of my baby because I feel sleepy everyday. I have done a research on how to get rid of my sleeping disorder and I found this. I’ll work on my disorder to have healthy sleeping habits.